If the guttering in your property hasn’t been cleaned for a long time and is filled with debris and wastes you can use our services. Gutter cleaning is an essential part of the maintenance of every building and neglecting to do it can results in a number of problems, property damages, leaks and unnecessary expenses. 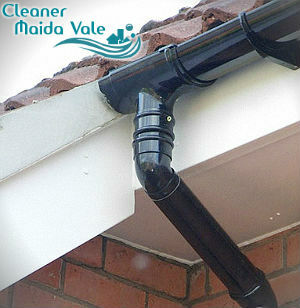 Our company is a reliable and proven gutter cleaning provider which operates in Maida Vale and offers excellent quality for money. The work of our gardeners include inspection, cleaning and unclogging of downpipes and testing of the gutters. Call us for a free quote and you will receive excellent customer service. You can use our services once per year to remove all debris, soiling and grime gathered in the guttering system in your property. Our staff use telescopic poles of carbon fibre, vacuum cleaners specialised for cleaning gutters and tiny cameras. The work starts with inspection, after that hoovering and in the end testing of the downpipes. Our staff work with the latest tools and equipment which are available on the markets and ensure effective removal of leaves, debris, moss, soiling and mud from downpipes. 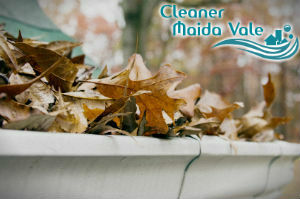 The gutter cleaning services we offer in and around W9 have excellent results. Call us for a free quote and checking the condition of the guttering system in your estate. Our staff use vacuum cleaning equipment with telescopic poles and cameras to supervise and ensure the cleaning which is necessary. They can get to 12 meters and the 4th floor of every building safely for cleaning gutters inside and out. Use our services to get the best possible results of the work. Filled with debris and wastes gutters can result in moisture in the walls of the property, brick damage and the need for expensive repairs. Our staff can carry out annual or oftener cleaning of the downpipes of the gutters in your estate and save you these problems. We work every day of the week and offer excellent gutter cleaning services in Maida Vale, W9 which guarantee properly functioning and long time lasting gutters.